TORONTO, Jan. 10, 2019 /CNW/ - Havilah Mining Corporation (TSXV: HMC) ("Havilah" or the "Company") is pleased to announce that it has closed the previously announced non-brokered private placement (the "Private Placement") for aggregate gross proceeds of $109,725. Senior management and a director of the Company purchased 100% of the Private Placement. The Private Placement consisted of 385,000 units of the Company ("Units"), with each Unit comprised of one common share of the Company ("Common Share") and one-half of one Common Share purchase warrant (each whole Common Share purchase warrant, a "Warrant"), at a price of $0.285 per Unit. Each Warrant entitles the holder thereof to purchase one additional Common Share at a price of $0.50 per Common Share until September 19, 2021. The net proceeds of the Private Placement will be used for general corporate purposes. "I am pleased that the two newest additions to the Havilah team are investing alongside our shareholders," commented Blair Schultz, Interim Chief Executive Officer of Havilah. 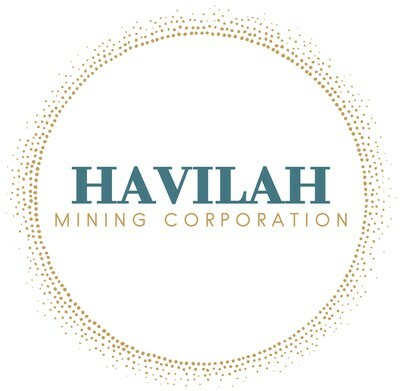 "Both Scott Anderson, our Vice President of Exploration, and Ron Clayton, a recent addition to the Company's Board of Directors, have demonstrated their belief that Havilah is well positioned to build value and provide return on investment for our shareholders." Certain insiders of the Company (within the meaning of the rules and policies of the TSX Venture Exchange ("TSXV") have purchased Units under the Private Placement. The participation of the insiders in the Private Placement constitutes a "related party transaction" within the meaning of TSXV Policy 5.9 and Multilateral Instrument 61-101 – Protection of Minority Security Holders in Special Transactions ("MI 61-101"). The Company is relying on exemptions from the formal valuation and minority security holder approval requirements set out in sections 5.5(a) and 5.7(1)(a) of MI 61-101 as the fair market value of the subject matter of the Private Placement does not exceed 25% of the market capitalization of the Company as calculated in accordance with MI 61-101. The Common Shares and Warrants that comprise the Units (as well as any Common Shares issued upon exercise of the Warrants) are subject to hold period of four months under applicable securities legislation and the rules and policies of the TSXV which will expire on May 11, 2019. The Private Placement remains subject to final acceptance of the TSXV. The securities offered have not been registered under the United States Securities Act of 1933, as amended, and may not be offered or sold within the United States absent U.S. registration or an applicable exemption from the U.S. registration requirements. This news release does not constitute an offer to sell or the solicitation of an offer to buy any securities in the United States. Havilah Mining Corporation is a junior gold producer that owns the True North mine and mill complex ("True North") and is currently processing historic tails. In addition to operating True North in Bissett, Manitoba, Havilah owns approximately 43,600 hectares of land surrounding the 40 hectare package where True North is located. Havilah believes its Rice Lake land package is a prime exploration opportunity for new discoveries to be processed by its centralized milling facility. Also, the Company owns the Tully project in Timmins, Ontario. The Company intends to focus on both organic growth opportunities and accretive acquisition opportunities in North America. Forward-looking statements involve known and unknown risks, future events, conditions, uncertainties and other factors which may cause the actual results, performance or achievements to be materially different from any future results, prediction, projection, forecast, performance or achievements expressed or implied by the forward-looking statements. All statements that address expectations or projections about the future, including, but not limited to, statements about the Private Placement and use of proceeds therefrom, reliance on exemptions from the requirements of MI 61-101 and contemplated approvals of the TSXV, are forward-looking statements. Although Havilah has attempted to identify important factors that could cause actual actions, events or results to differ materially from those described in forward-looking statements, there may be other factors that cause actions, events or results not to be as anticipated, estimated or intended. There can be no assurance that forward-looking statements will prove to be accurate, as actual results and future events could differ materially from those anticipated in such statements. Accordingly, readers should not place undue reliance on forward-looking statements.